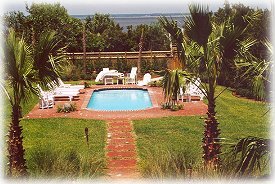 When creating your ideal backyard retreat, you will want to build an aquatic attraction that will entertain family and friends today and for years to come. Some people yearn for a tropical rainforest, complete with exotic plants, waterfalls, overhanging foliage and other natural elements. Others want wide-open spaces to handle water games, such as basketball or volleyball. Whatever your dream environment may be, think it through before starting the pool purchasing process. A pool represents a significant investment in your home that you will enjoy and will increase your property’s value. Hold a family conference and ask everyone’s suggestions, but keep an eye on the future. Children grow up and the family’s needs change. 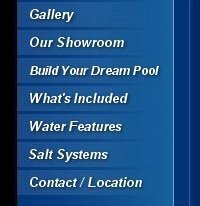 To apply for new pool financing, please click here. Ask your pool-owning friends and neighbors about favorite features. Inquire about what they would do differently if they were building a new pool. Also, ask them about what their experiences have been with maintenance. Listen to their suggestions about items you can add to your pool that will save you time and money in the years ahead. Think carefully about the shape, size and depth. How you plan to use the pool dictates these variables. While you can add or remove some amenities and features at a later date, shape, size, depth and spa represent permanent attributes. Lap swimmers appreciate long, straight lanes, while quick entry devices necessitate extra depth. You may be able to shave initial building costs by holding off on a heater or water feature, yet save money later by planning for these items now and running the pipes and wires during the construction phase. Other options must be put in during construction. For instance, seamlessly hiding the tracks and storage for an automatic safety cover requires installation at the time of construction. Spending up front for automatic pool cover not only adds to your aquascape’s aesthetics, but that cover will also save you money on chemicals and cut down on maintenance. If ease of upkeep is a concern, investigate timesaving features, such as a chlorine-generating system or an automatic pool cleaner. Oftentimes, investing a little more initially results in fewer expenses later. Walk around your yard and observe the sun fields. You will likely want to capture as much sunlight as possible during the months that you will use the pool. Envision how your yard will drain once the pool is in. You will want to avoid natural runoff entering the pool area. If you have a hilly yard, it may require terracing and the building of a retaining wall. Have an idea where you want the pool, but keep an open mind. Prepared with a general conception of what you want to accomplish, you are ready to move to the next step: selecting a pool construction company– someone you can completely trust to actually care about your dream. Ask about the builder’s experience, insurance and licensing. Request a list of prior customers, and then call and talk with these customers. Also, inquire about guarantees. Assess the company's reputation, years in business and record for solving problems. Contact the local BBB, or Chamber of Commerce.